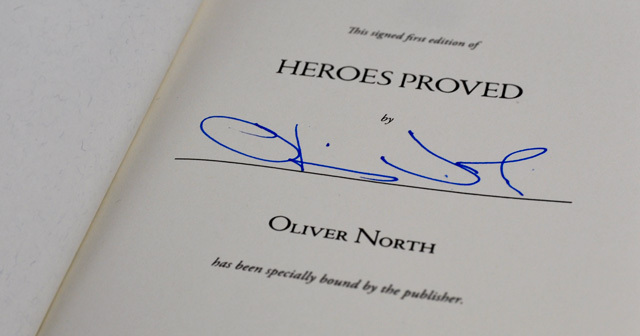 This Edition of Heroes Proved has been personally Autographed by Oliver North. Exclusively Made Available at PremiereCollectibles.com. #1 bestselling author Oliver North applies his extensive experience as a combat-decorated U.S. Marine and counterterrorism expert in this explosive novel of global intrigue, military action, and cutting-edge suspense. "Oliver North is one of our nation's heroes. Heroes Proved reflects his experience and understanding of what it takes to protect our way of life and preserve our constitution. It's inpsiring truth in the form of a novel. Don't plan to sleep until you finish--because you can't put it down. Bless you, Ollie, for writing this." --LT. GEN. William G. "Jerry" Boykin, U.S. Army (Ret. ), founding member of Delta Force. "This is a heart-thumping 'must read' for every American who cares about the threats we face and where we're headed. 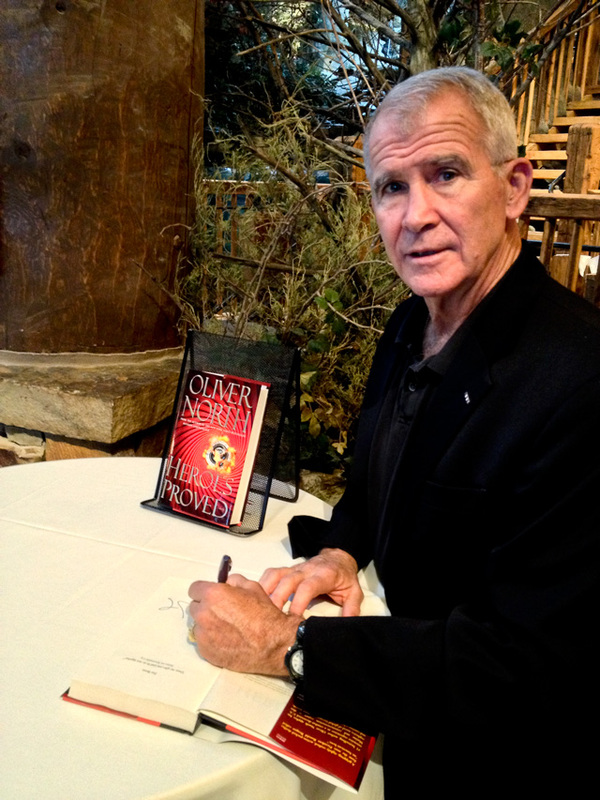 Oliver North knows heroes, the challenges they face, and the sacrifices they make. He says Heroes Proved is a novel. I say it's a wake-up call--a warning shot across the bow of complacency!" Oliver North is a combat-decorated Marine, the recipient of the Silver Star, the Bronze Star for valor, and two Purple Hearts for wounds in action. From 1983 to 1986 he served as the U.S. government’s counter-terrorism coordinator on the National Security Council staff. President Ronald Reagan described him as “an American hero.” A New York Times bestselling author, syndicated columnist, and host of the award-winning War Stories documentary series on the FOX News Channel, North lives with his wife, Betsy, in Virginia. They have four children and twelve grandchildren.